Full disclosure: I have been a fan of Kate Smith the singer since I was a kid listening to her radio show with my mother. But I have also long known that Kate Smith and I would have had serious philosophical differences. Though she had been a favorite of Franklin Roosevelt, she became very conservative and nationalistic, and, I gather, kind of a knee-jerk patriot who was not inclined to question authority. Her recording of “God Bless America,” which Irving Berlin wrote specifically for her, famously inspired Woody Guthrie to wrote “This Land is Your Land” in response. 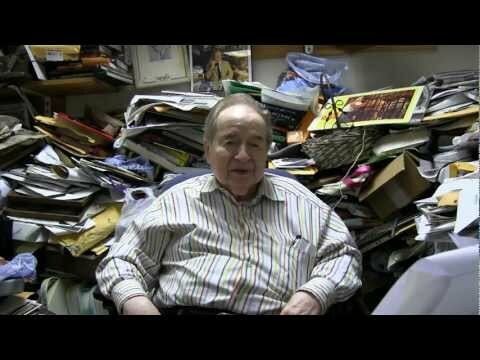 Joe Franklin, who died yesterday, once did a live show at Menlo Park Mall in Edison, here in New Jersey, and a colleague of mine went to cover it. He came back with several anecdotes that confirmed the impression we already had of this unique personality who had been a fixture on New York radio and television for decades. For example, my colleague related that after the show a young man introduced himself to Franklin and explained that he was trying to get started in a career as a comedian. Without taking a second to think, Franklin said, “Meet me on the northwest corner of Times Square and Forty-second street at ten o’clock Monday morning. I’ll make you very happy.” And he made the young man happy by taking him to the WOR-TV studio and putting him on that day’s talk show. When my colleague’s story had been published, he decided to go to Manhattan in person to deliver copies to Franklin. I accepted the invitation to go along. When we arrived at the studio, Franklin was in the last quarter-hour of his show. Once the broadcast was over, we approached Franklin, and my colleague introduced me and turned over the tear sheets. Franklin grinned and, without missing a beat, said, “Why don’t you guys come on the show?” Mind you, he had never seen me or, for that matter, heard of me before. “What would we talk about?” I asked him. “You can co-host the show, interview the guests.” And so we did. 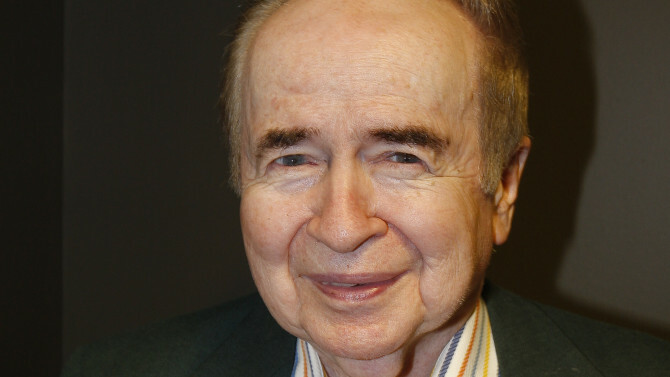 Sometime after that, my colleague and I were discussing Joe Franklin with others in the newsroom, and I said, “I’ll bet that if we called him up and asked if we could come on the show again, he’d say yes.” My colleague decided to test that theory. He said he wasn’t sure Joe remembered him, but the sentence was hardly spoken before Joe blurted out a date, and we went on again. We had no illusions about any of this. Joe wasn’t Dave Letterman. It was probably a constant challenge for him to fill his dance card. Still, he had a lot of friends and he often scored a guest with somewhat more status than we had. In fact, on one of the shows we were on, one of the guests was Charles Hamilton, who was one of the best-known handwriting experts and autograph dealers of his time. He had debunked the so-called Hitler Diaries in 1983. But even when his guests were from the middle of the pack, Joe had a genius for appearing enthusiastic. He probably made a lot of folks feel good about their careers despite evidence to the contrary. He was a combination of pitchman, raconteur, purveyor of nostalgia, and carnival barker, and he was quintessential New York. He ought to be out there on the square in bronze, hanging out with Father Duffy and Georgie Cohan. I have spent time with a lot of celebrities in the past five decades. Few were more memorable than Joe Franklin. Anyway, the movie isn’t about that. Instead, it’s about a writer named Arlen Faber (Jeff Daniels) whose one success was a book called Me and God, in which he revealed that he had had a personal encounter with the Creator of all that is . The book took the form of a series questions and the Almighty’s answers. This one success was the only one Faber needed. The original book and a wide variety of spin-offs — including a cook book — written by other people made him a wildly popular celebrity. But Faber wasn’t interested in fame. In fact, in the 20 years after the book appeared, he hasn’t made a public appearance or consented to an interview, despite the pleas of his publisher. He spends most of his time in his Philadelphia apartment and, on the rare occasion that he speaks directly to another human being, his behavior ranges from disagreeable to obnoxious. 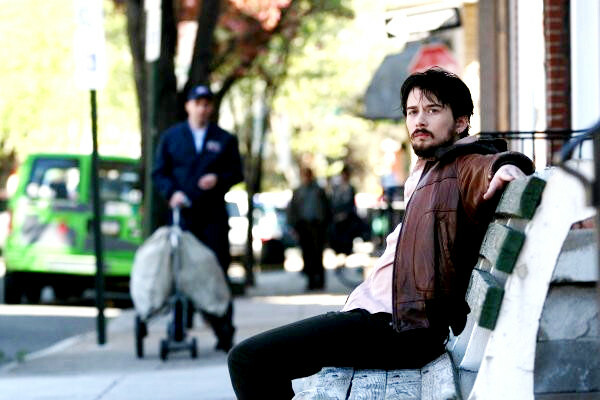 His routine is upset, however, when his life intersects with those of two disconnected strangers: Elizabeth (Lauren Graham), a single mother who has just opened a chiropractic office, and Kris Lucas (Lou Taylor Pucci), a young man whose bout with alcoholism has put at risk the book store he runs with his assistant Dahlia (Kat Dennings). Faber comes in contact with Lauren because he needs treatments for his bad back. Lauren and her receptionist, Anne (Olivia Thirlby), don’t know what to make of the volatile and manipulative Faber, but Faber is attracted to Laurenr — the first such attraction for him in decades — and he develops an uncharacteristically benign relationship with her young son, Alex (Max Antisell). Faber wants to get rid of some of the books that he has accumulated in his apartment, and he tries to sell them to Kris, who has no cash to buy them with. The impending loss of his store is not the worst of Kris’s problems, though. His effort to stay sober isn’t helped by the fact that he lives with an endearing but alcoholic father. In a desperate attempt to keep from slipping under the waves, Kris blackmails Faber into an arrangement in which Kris will take a few of Faber’s excess books off his hands each time Faber, drawing on his supposed supernatural source of wisdom, answer one of Kris’s questions . There is, of course, a reason why Faber has hidden from public view for two decades, and that back story eventually comes out into the daylight. This film, which was made in 2008, got mediocre reviews, but we found it engaging. I did object to some unnecessary physical humor, but the premise is unusual, the main characters are interesting, and the actors are effective in those roles. Although this is described as a romantic comedy, Pucci’s performance as a young man in the grip of addiction is particularly disturbing. I gather from schnibles I’ve seen on the Internet that 30 Rock caught some flack for a parody of the 1950s television series Amos ‘n’ Andy. In the 30 Rock sketch, which was called Alfie and Abner, the characters were played by Tracy Morgan and John Hamm, who was in black face and an Afro wig, an image some folks found offensive. Somewhat incongruously — not to put too fine a point on it — the set was a replica of the Kramdens’ Bensonhurst kitchen rather than the most frequent Harlem scenes on Amos ‘n’ Andy — the Mystic Knights of the Sea lodge hall and the apartment of George and Sapphire Stevens. The premise of the 30 Rock sketch was that one actor was in black face because NBC thought it would be too big a step to have two black actors on the stage at the same time. The irony is that Amos ‘n’ Andy, which had its original run from 1951 to 1953, was the first television series to have virtually an all black cast. White actors appeared in incidental roles in only a handful of episodes. I think it’s fairly well known that the show was driven out of production because of objections — most prominently from the National Association for the Advancement of Colored People — on the grounds that it presented negative stereotypes of black Americans. It continued in reruns on some stations into the 1960s. 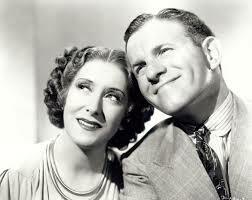 The television series evolved from a radio series that ran from 1928 until 1960. At the height of its success, Amos ‘n’ Andy was not only the most popular radio show on the air but the most popular diversion of any kind. And yet that series featured white actors mimicking black characters — namely Freeman Gosden and Charles Correll, who created the show. For a while, Gosden and Correll performed all the male roles and some of the females. Later, other actors and actresses were cast in the supporting parts while Gosden and Correll continued to play the principal figures: Amos Jones, Andrew H. Brown, and George “Kingfish” Stevens. Gosden and Correll went a step further in the 1930 RKO movie “Check and Double Check,” donning black face to play Amos (Gosden) and Andy (Correll). Duke Ellington and his orchestra appeared in that movie. The TV series is now controlled by CBS, which has withdrawn it from circulation and has at times taken legal action in an attempt to squelch the widespread Internet sale of bootleg tapes and DVDs of the episodes. The Amos ‘n’ Andy television show is in a unique position, I think, in the sense that if it were judged in a vacuum — with no reference to who created it and when it first appeared — the conclusion might be different than it is when the show is viewed in its historical context. It was introduced when black American citizens in large numbers were still being denied their civil rights, when black people in many parts of the country were regularly threatened with violence, and when black people were freely lampooned in movies, cartoons, and minstrels. The show was still being broadcast in syndication in 1955, when Sarah Louise Keys, Claudette Colvin, and Rosa Parks in turn refused to give up their seats on the Montgomery, Alabama bus system to make way for white passengers. 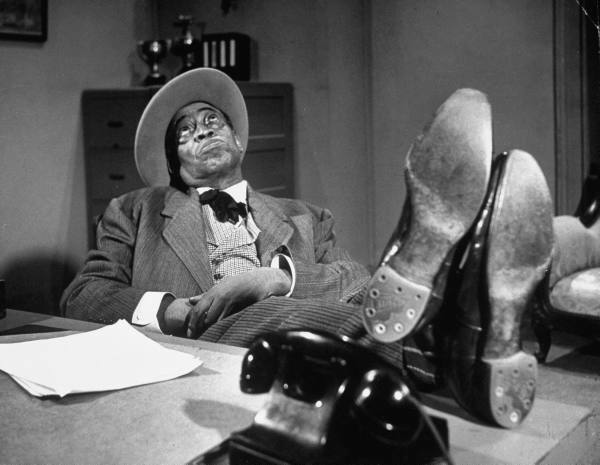 With Jim Crow making his last stand against legal equality and common decency, it shouldn’t have been surprising that black society and others would object to some of the characterizations on Amos ‘n’ Andy. I have owned copies of all 78 known episodes of the series for many years, and I have watched them all several times and assigned students to write about them. 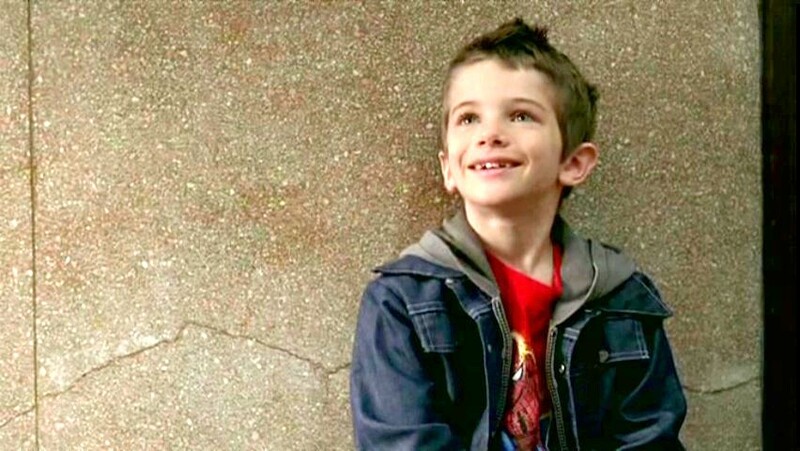 I have also done a lot of research about the show itself and about the actors who appeared in it, and I have interviewed several people who were connected to it, including Nick Stewart who played Lightnin’ — the janitor at the lodge hall. Based on all that exposure, I think one can at least make the argument that, taken out of its milieu, Amos ‘n’ Andy would be no more offensive than all-black sitcoms that have appeared since, including Sandford and Son and Family Matters. In fact, Amos ‘n’ Andy is fashioned on the same model as The Honeymooners. The rap on Amos ‘n’ Andy has been that it perpetuates stereotypes of black men as lazy, shiftless, and dumb, and of black women as shrewish and unattractive. As for the men, those characterizations apply to only four characters in the series: Andy Brown (Spencer Williams Jr.), George “Kingfish Stevens (Tim Moore), Lightnin’ (Nick Stewart, billed as Nick O’Deamus), and the lawyer Algonquin J. Calhoun (Johnny Lee). These men live in a universe in which virtually everyone is black and, significantly, in which everybody but them is dignified, moral, and responsible. Just as The Honeymooners didn’t imply that all white men were naive schemers like Ralph Kramden or good-natured dumbbells like Ed Norton, Amos ‘n’ Andy didn’t imply that all black men were lummoxes, wasters, or charlatans. In both cases, the point was that the main characters were out of step with everyone around them; they were the exceptions, not the rules. The most prominent female character on Amos ‘n’ Andy was Sapphire Stevens, the Kingfish’s wife. Sapphire was played by Ernestine Wade, who actually was a pretty woman. Sapphire longed for a more genteel life in which she wasn’t hounded by bill collectors and in which she could associate with folks a little more erudite and stimulating than Andy Brown. Wade portrayed her as a decent woman who was faithful to a husband who didn’t deserve it; if Sapphire nagged the Kingfish and at times lost her temper with him, no one could blame her any more than they could blame Alice Kramden from blowing up at Ralph. Less sympathetic a character, perhaps, was Ramona Smith, Sapphire’s mother, who was presented as the classic bellicose battleship of a mother-in-law — an accessory the Kingfish had in common with Ralph Kramden. The broadest of the regular characters were the shambling, drawling Lightnin’, and Calhoun, a loudmouth and a fake. 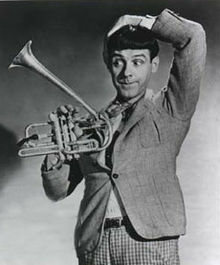 There was a shift in emphasis in the television series in which Amos, although a title character and often the voice that introduced the episode (“Hello, folks. This is Amos. . . .”), became a secondary figure, and the Kingfish became the focal point of almost every episode. 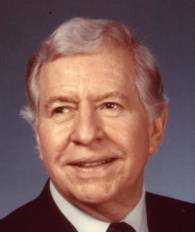 In the TV series, Amos was a level-headed, intelligent, soft-spoken, man who owned his own taxicab and led a quiet life with his lovely wife, Ruby, and their two daughters. Amos was often the Jiminy Cricket to the Kingfish and Andy, giving them sound advice and sometimes directly getting them out of trouble. An aspect of this show that is always overlooked is the quality of the cast it brought together. Many of the actors had long careers as entertainers, persisting through an era in which they were unappreciated, type cast, and often rudely treated. 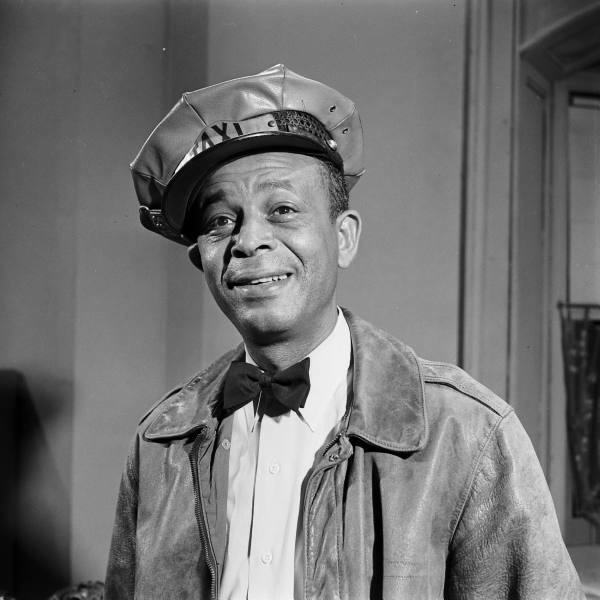 Alvin Childress, who played the sensible and gentle Amos Jones, held a bachelor’s degree in sociology. He began working as an actor with a Harlem theater company, and he worked on both the stage and on film. 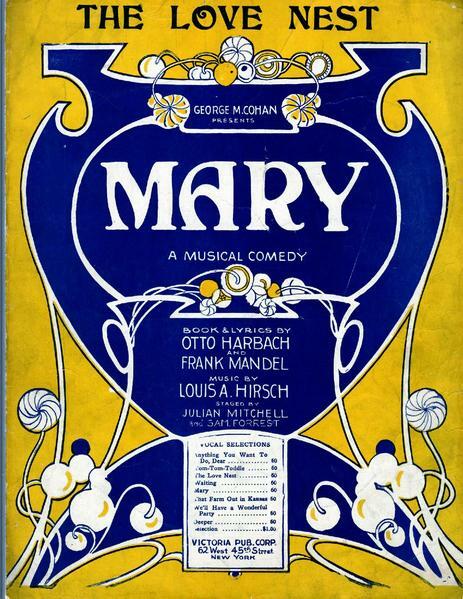 He appeared on Broadway as Noah in Philip Yordan’s play Anna Lucasta, which ran for 957 performances. Although he appeared in a couple movies and in episodes of Perry Mason, Sandford and Son, Good Times, and The Jeffersons, Childress, who felt he had been typed by casting directors as Amos Jones, had a hard time sustaining his career. His first marriage, which lasted for 23 years, was to a well known writer and actress, Alice (Herndon) Childress. 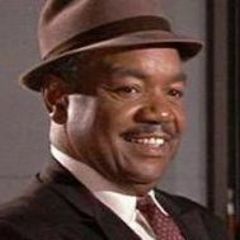 Nick Stewart, who played Lightnin’, was a dancer and comedian who appeared in night clubs, Broadway shows, films, and radio. 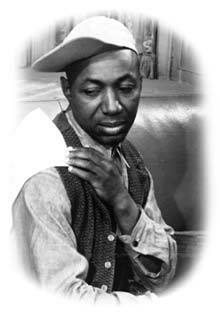 Stewart was the voice of Br’er Bear in the 1946 Disney movie Song of the South. In 1950, He and his wife, Edna, founded the Ebony Showcase Theater in Los Angeles, where for many years they provided a venue in which black actors could appear in quality productions. 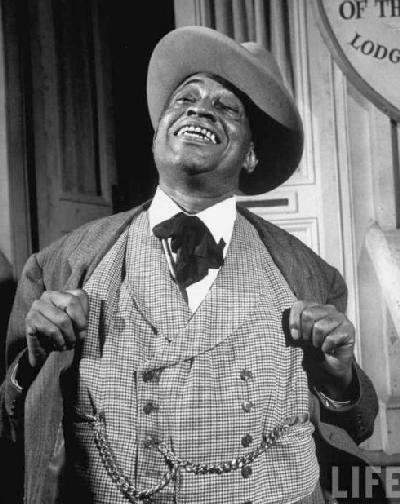 Johnny Lee, who played the blustering, incompetent lawyer, Algonquin J. Calhoun, was a dancer and actor who appeared in a couple of dozen films and television shows, perhaps most notably as the voice of Br’er Rabbit in Song of the South. He had featured roles in Come On, Cowboy! (1948) and She’s Too Mean for Me (1948) and he played a stuttering bill collector in Boarding House Blues (1948). He also starred in an all-black musical comedy, Sugar Hill, at the Las Palmas Theatre in Hollywood in 1949. His last TV role was Mr. Gibbons the Locksmith on Dennis the Menace in 1963. 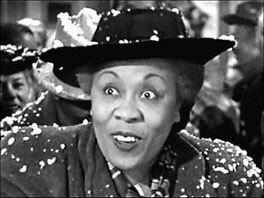 In addition to these regular players, Amos ‘n Andy provided occasional roles for some very talented actors, including the sisters Amanda and Lillian Randolph. Amanda Randolph, who played Ramona Smith, mother of Sapphire Stevens, was the first black actress to appear on a regularly-scheduled network television show. That was The Laytons, which appeared on the old Dumont network for two months in 1948. She was an exceptional jazz pianist and a composer. She appeared in New York musicals, entertained in Europe, performed in vaudeville, and cut records as both a musician and a vocalist. She appeared on Broadway, in films, and on radio. On radio, she played the title role in Beulah in the 1953-1954 season, inheriting the role from Lillian. She was the first black American actress to have her own daytime network TV show — Amanda, which ran on Dumont in the 1948-49 season. Among her many TV roles was Louise, the wisecracking maid on Danny Thomas’s comedy series. 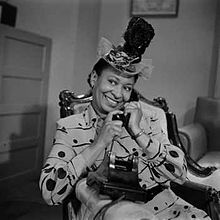 Lillian Randolph, who appeared in Amos ‘n’ Andy as Madame Queen, a former girlfriend of Andy Brown, was also a multi-talented performer on radio, television, and film. She had played Madame Queen on the radio, too, and made the character’s name a household word in the United States. She played the maid Birdie Lee Coggins in The Great Gildersleeve radio series, and she repeated the role in Gildersleeve films and the later TV series. Her performance of a gospel song on the TV series led to a gospel album on Dootone Records. 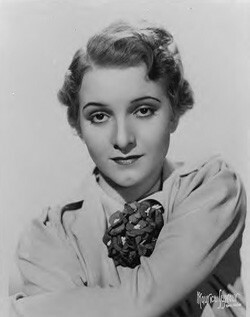 She also made regular appearances on The Baby Snooks Show and The Billie Burke Show on radio. 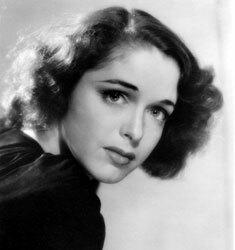 Her best known film roles probably were Annie in It’s a Wonderful Life and Bessie in The Bachelor and the Bobby Soxer. Her television roles included Bill Cosby’s mother on The Bill Cosby Show, and Red Foxx’s aunt Esther on Sandford and Son. Altogether, she appeared in about 93 movie and television properties. 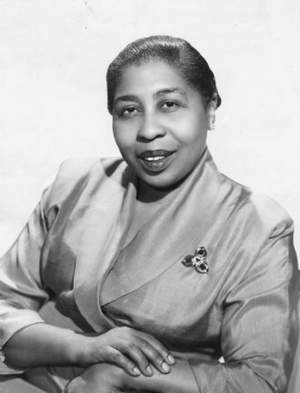 In 1954, Lillian Randolph became the first black member of the board of directors of the Hollywood Chapter of the American Federation of Television and Radio Artists. 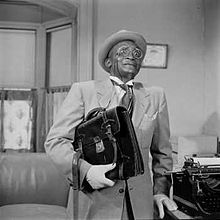 One of the most eminent persons to appear on the Amos ‘n’ Andy TV series was Jester Hairston, who made occasional appearances as both Sapphire’s brother Leroy and as wealthy and dapper lodge member Henry Van Porter. Although he appeared in about 20 films and several TV shows, acting was secondary to Hairston’s career as a composer, songwriter, arranger, and choral conductor. He wrote the song “Amen” for the 1963 film Lilies of the Field and he dubbed the song for Sidney Poitier to lip-sync. He also wrote the Christmas carol Mary’s Little Boy Child. Harry Belafonte’s recording of the song reached No. 1 on the charts in the UK in 1957. 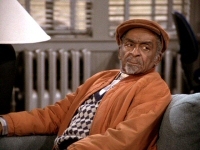 From 1986 to 1991, Hairston played Rolly Forbes in the TV series Amen. Hairston was a graduate of Tufts University, and he studied music at the Julliard School. He was highly regarded as a conductor of choirs, including on Broadway, and as a composer and arranger of choral music. In 1985, when few foreign performers were appearing in China, he took a multi-racial choir to tour the country. 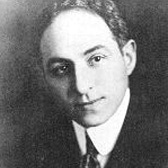 Hairston was a founder of the Screen Actors Guild. Also among the actors who appeared on Amos ‘n’ Andy was Roy Glenn, who had a rich baritone-bass voice that he got to use in one episode, singing some lines from “Red Sails in the Sunset.” Glenn had a long acting career, appearing in 96 films and television shows. His most prominent role probably was Sidney Poitier’s father in Guess Who’s Coming to Dinner (1967). The only Amos ‘n’ Andy alumnus I’m aware of who not only is still living but has worked as an actor recently is Jay Brooks, who appeared in two episodes of Seinfeld, as Sid, the man who provides a service in Jerry Seinfeld’s neighborhood by moving cars from one side of the street to the other to comply with New York City’s alternate-side parking regulations. 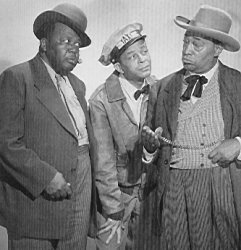 The actors who appeared on Amos ‘n’ Andy were often criticized for accepting roles on a show that some people felt was demeaning to black people. More often than not, the roles offered to black performers in those days in any venue were stereotyped if they weren’t out-and-out offensive. Some of the actors — Alvin Childress, for example — argued that they had to work where they could and that by accepting parts on the first all-black show on television, they had paved the way for others to follow. 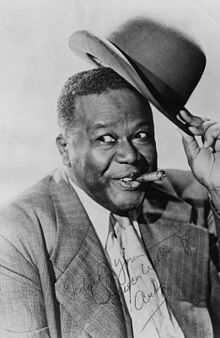 It’s too late to resolve that question but, taken on its own merits, Amos ‘n’ Andy was a funny show, due in large part to the performances of a lot of experienced actors who, over their careers, made enormous contributions to American popular culture. They don’t deserve to be forgotten. The announcement by the CBS television network that it had cancelled “As the World Turns” got me to thinking about the soap operas my mother listened to on the radio. In that era, it was common for a radio to be on all day in a house, so what Mom listened to, the rest of us listened to. That is, unless we happened to be in the downstairs kitchen, where we listened to what Grandma listened to — namely, WOV, the Italian radio station in New York. Another radio show I vividly remember was a unique series called “Wendy Warren and the News,” which was on CBS every day at noon, beginning in 1947. 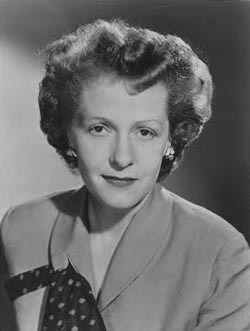 Wendy Warren, who was played by Florence Freeman, was a radio and print journalist, who got involved in all kinds of mysterious and dangerous situations. The show was injected with an unusual element of realism by including an actual daily newscast — with the redoubtable Douglas Edwards as the anchor — and by telling its stories in 24-hour increments. The show, which was broadcast on weekdays, even took the weekends into account in its scripts. Sudsy daytime serials are easy targets for radio’s detractors. But soap operas go on & on because sponsors find them profitable. Last week, an outlandish new jumble of fact & fancy called Wendy Warren and the News (CBS, Mon.-Fri., 12 noon, E.D.T.) tried desperately to vary the formula. 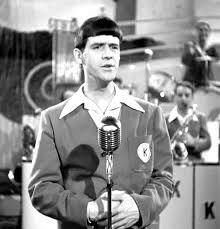 This show was broadcast on NBC from 1933 to 1949 and on CBS From 1942 to 1960. 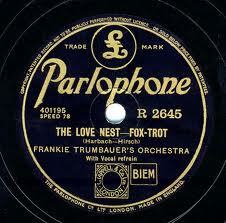 In an unusual arrangement, “Ma Perkins” was heard simultaneously on both networks from 1942 to 1949. Ma Perkins was played by Virginia Payne, who didn’t miss a broadcast in 27 years. Her character, if you can believe it, was a widow who ran a lumber yard in a small town called Rushville. The story line was hometown stuff, all about Ma Perkins’ three children and her relationships with the locals. Payne was only 23 when she took the part, so an older model was used for public appearances at first, and Payne herself dressed up in a wig and spectacles so as not to ruin the image of the kindly old woman. An interesting quirk in this show was that Payne was never identified on the air as the actress in the title role until the final episode in 1960, when she made some farewell remarks at the end of the broadcast. Sunday, played by Vivian Smolen when I was listening to it, was an orphan who had been raised by two prospectors in a mining camp. She wound up as Lady Brinthrope, married to a titled Brit who lived on the East Coast of the United States. The stories often had to do with the tsurris caused by high-brow women making a play for Sunday’s husband, Lord Henry. The memories of a misspent youth. ANN ELSTNER, left, played the iconic radio character Stella Dallas. She is shown with VIVIAN SMOLEN, who played Stella's daughter on that series. I was amused to read an Associated Press story today by a writer who had the naivete to suggest that John Sterling is a successor to Mel Allen. It is true that Sterling has a job analogous to Mel’s old job, but he’s about as much a successor to Mel as I am a successor to St. Stephen. Sterling and some other baseball broadcasters today are like carnival barkers. I had to laugh the other night when he was making his usual complaints about all the noise in the Blue Jays stadium. What about the noise he makes on the air during every game? Every home run is “high” and “far” whether it’s high and far or not …. and some fly balls are “high” and “far” that aren’t home runs at all. Anyone can find an old Yankee broadcast on the Internet and hear the difference between that and Mel’s mellow “going, going, gone.” And that’s to say nothing about the contrast between Mel’s “and the ballgame is over” and Sterling’s “theeeeeeeee Yankees win!!!!! !” Whenever I hear that I chuckle about the critics who used to call Mel a “homer” — meaning a Yankee partisan. The AP report says Swisher likes that stuff. See, my problem is that I want to be Garrison Keillor. I don’t mean that I want to live in Minnesota, but that I want to have a live radio show and I want to be able to tell stories the way he does. But I digress. The only person I can recall who could tell stories as well as Keillor was Jean Shepherd. I listen to Keillor’s monologues over and over, trying to divine the particular quality that makes his tales so compelling. But, of course, I can do no such thing; the stories are as good as they are because they come from him. So my only option is to be him. That doesn’t seem like so much to ask for if I can’t be Clint Eastwood, sitting in that lonely studio, waiting for the call I know will come and the sultry, slightly dangerous voice I know I will hear …. Sorry. Lost my head. Well, Garrison Keillor and I do have a couple of things in common. He recently suffered what has been described as a minor stroke — that’s not what we have in common — but he quickly recovered and went back to work, apparently intending to concede nothing to his advancing years. He and I are both 67. Keillor told an Associated Press reporter that some of his friends have been encouraging him to retire. He and I are of one mind on that point. When I was involuntarily a man of leisure, I could feel the seams coming apart. Now that I’m overbooked again, I feel like a man of 60. The AP writer, incidentally, no doubt wanting to assure readers that the stroke had no lasting effect on Keillor, delicately slipped in to the copy the observation that Keillor’s speech showed no sign of slurring. And who says there’s no real journalism anymore? In a 1956 episode of “The Honeymooners,” Ed Norton (Art Carney) is advising Ralph Kramden (Jackie Gleason) that one of their neighbors reads all the mail that comes into the building. To illustrate his point, Norton tells Ralph what the Kramdens’ gas bill was the previous month. And then he congratulates Ralph for breaking the all-time low gas bill record set by the Collyer Brothers in 1931. In 1947, the two men died in the house under tragic circumstances. Langley Collyer had been killed by one of the booby traps he had assembled to ward off intruders and Homer, who was blind and largely helpless, had died of starvation, just a few feet from his brother’s body. Police and laborers removed 103 tons of material from the house, which was condemned and razed. E.L. Doctorow has written a novel, “Homer and Langley,” being released this month, which consists of what Doctorow describes of his “reading” of the Collyer Brothers’ lives. By that he means that the book is not a history; in fact, he said he did no research, which may be an exaggeration, but he makes his point. He was curious, not about morbid details that had been repeated again and again, but about what motivated the two men to shut the world out of their lives or rather, as he puts it, to “emigrate” to a life within their home, a life lived on their own terms.